Primarily considered a male hormone, testosterone is actually common to both male and female. However, testosterone is the principal male hormone, which not only affects your libido and penile erection frequency but also your whole body. This hormone gives men larger hearts, lungs and other organs, builds muscle mass and controls stomach fat, while regulating mood, aggression and mental focus. Therefore, steady and adequate levels of this hormone are essential for your overall well being. Since testosterone levels start to drop in mid-to-late 20s, at a yearly rate of 0.3%, a man can experience a significant decline in his testosterone levels by age 40. By age 50, most men will have substantially lower levels causing a series of sexual difficulties. Therefore, it is imperative that men do everything they can to build and sustain balanced levels of this hormone. And you can raise your testosterone with these superfoods. Protein plays a key role in keeping production of the male hormone, testosterone, at optimal levels. However, it is important to stick to leaner cuts of meat and low fat sources of protein since too much saturated fats can induce estrogen, which has a negative effect on your sexual activity because it essentially 'softens' testosterone. Since testosterone is actually synthesized from cholesterol, a dietary supply is necessary, and whole eggs supply it in a 'good' form with low caloric effect. Including vitamin C from fresh fruits and veggies on a daily basis will keep the 'bad' form of cholesterol LDL in check. But if you have a severe case of cholesterol woes, best confirm with your healthcare provider to be safe. 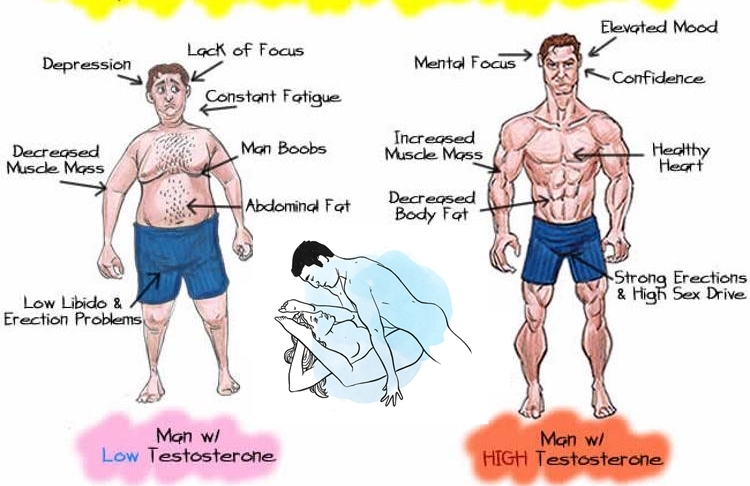 A combination of fats are absolutely necessary for great testosterone production. Omega-3s (EFAS) and monounsaturated fats (MUFAS) should be the prime fats in your diet along with a moderate amount of saturated fats (SFAS). These veggies are a 'must' have in your regular diet since they contain IC3s (indole-3-carbinol), which essentially controls estrogen levels, and as previously mentioned estrogen in effect 'softens' your testosterone! Most of the basic food groups are covered in the above lists and can be balanced with an intake of moderate low-glycemic carbs including fruits, veggies and wholegrain breads, pastas and cereals. If your hormone levels are currently low, raise your testosterone with these superfoods and you will see a marked difference over the next few weeks and months. Start eating these superfoods while your testosterone levels are optimal and your hormone supplies will remain robust for many years, prolonging your sexual activities and health.